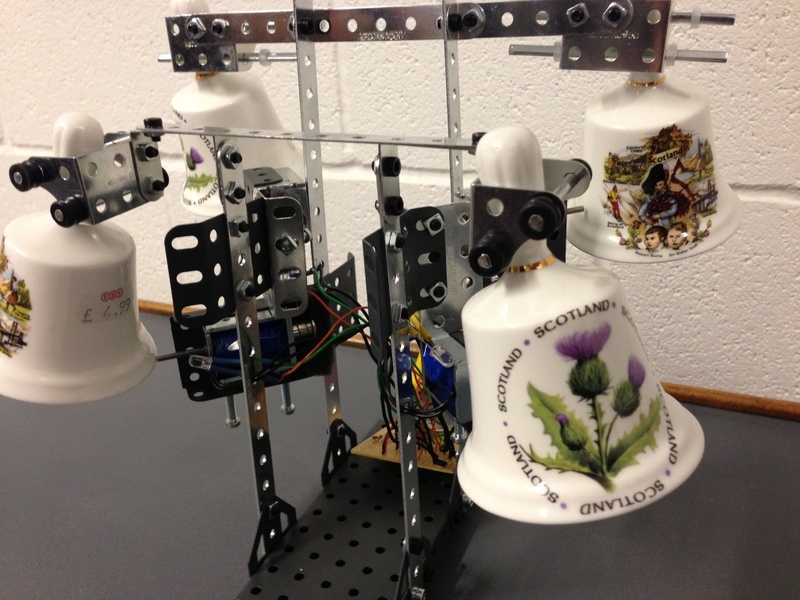 Commissioned by the fine folks at Sync, the Twitter Bells were designed for their amazing Culture Hack event in Glasgow, July 2013. 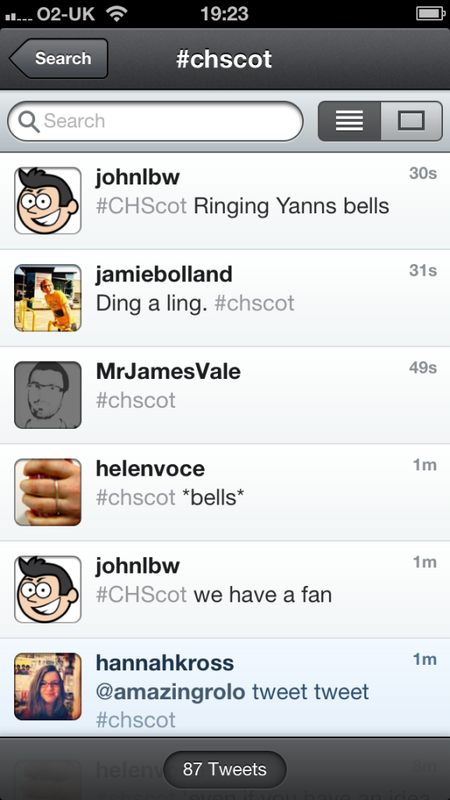 Every time someone at the event (or anywhere in the world) tweeted the hashtag “#chscot”, the bells would ring. 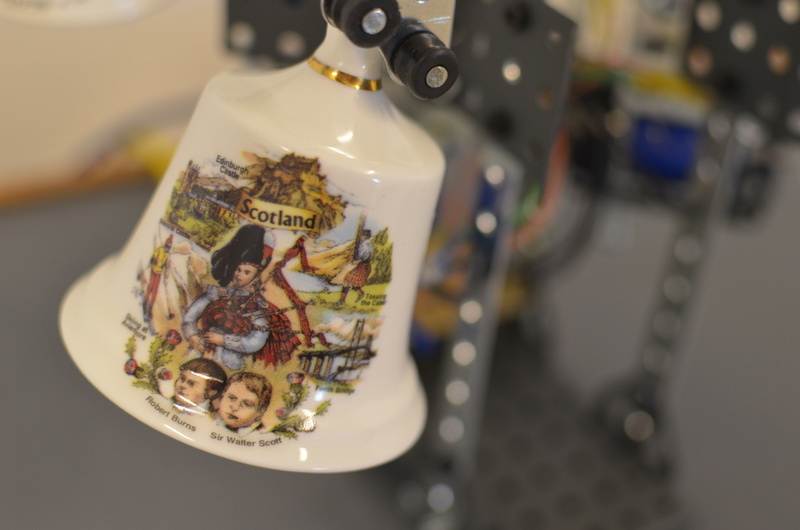 I made the structure out of Meccano, used solenoids as ringers, and used commemorative tourist bells that I found at a rather sad shop in Edinburgh. 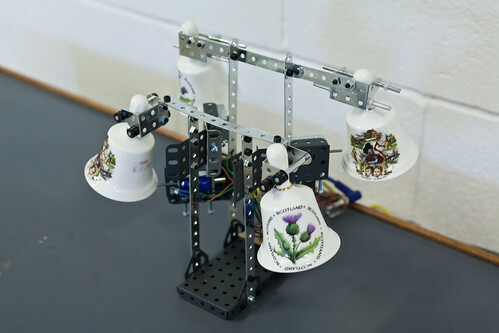 The result was pretty hilarious. People loved making the bells ring, but they also kept ringing at somewhat inopportune times. Twitter is often used as a sort of silent alternate discussion platform during an event, so I really enjoyed making those comments audible.